Studio S showcased its A/W 17 collection by taking clothes off the runway and putting them on real women. Working from the theme, “Hear me Roar”, the show was a fashion installation and discussion between artists on the dynamics of female creative energy, and it’s expression in different mediums. Seher Tareen of Studio S rang me one day with an idea. 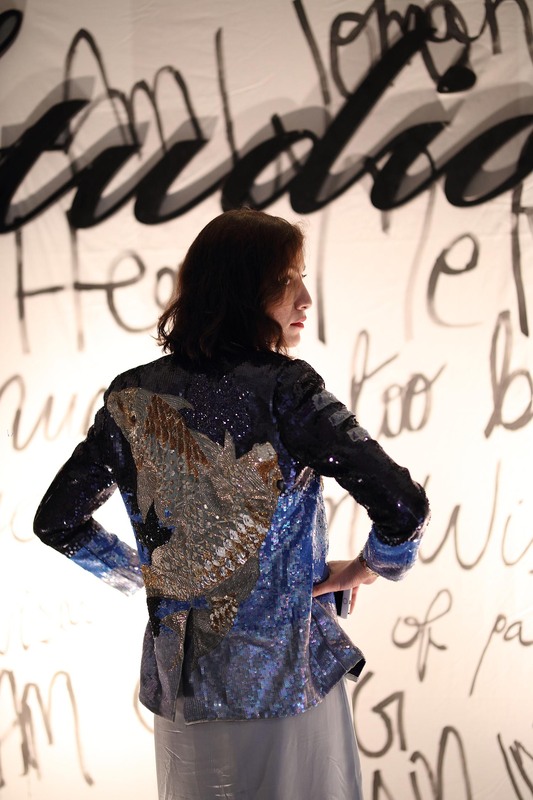 Her new collection, inspired from Helen Reddy’s early seventies song “I am Woman, Hear me Roar”, was ready for A/W 17 and instead of a usual runway show, she wanted to do something different – put her clothes on real women, and talk about the dynamics that went into the collection. In spite of all the fashionable attention feminism has been getting recently, nobody has used the platform and social access a successful brand has to actually engage with the philosophy of the movement. There is of course the argument that fashion is not necessarily a feminist space, and many feminists are sceptical of brands that co-opt the ideology for monetary gain – wearing a “we should all be feminists” t-shirt does not a feminist make. Happily, “Hear Me Roar” was none of those things, and the discussion we planned for the show was an introspective, non-academic conversation between Seher, myself, Saba Khan, Risham Syed and Aroosa Rana about female creative energy and how as women the female experience intersects with the creative expression of it. 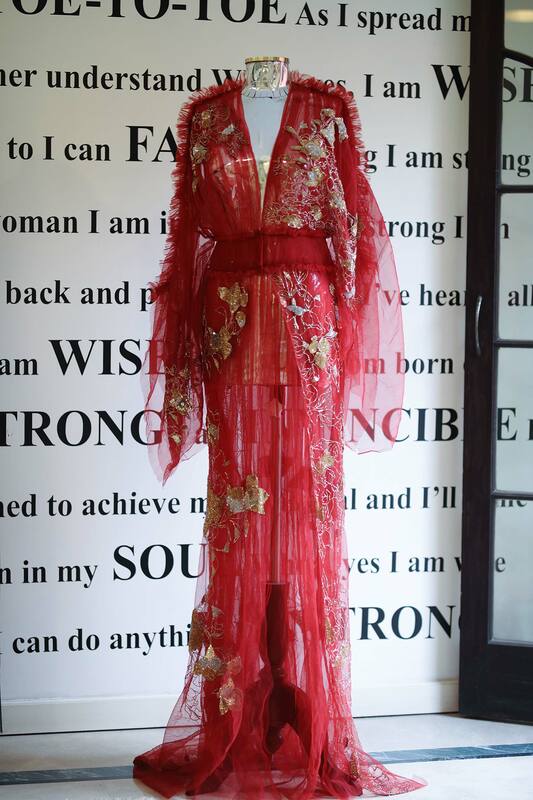 What sold me on the idea was a black beaded gown with a retro feel, Japanese inspired flowers and the word “invincible” embroidered on a beaded strap across the neck. You could only see it if you knew it was there, and that was emblematic of the feel of the collection. Studio S has always championed a feminine look; diaphanous material, gauzy net, mirrors and florals, and “Hear me Roar” had the same starting point but a different end. The hems of all the pieces were unfinished, the material left free. Kimonos, gauzy and draped, had frilled ruffs, but ones reminiscent of sharp gills on a fish. There was a complexity to the collection that was pleasing and intriguing, but also one that existed between the lines. 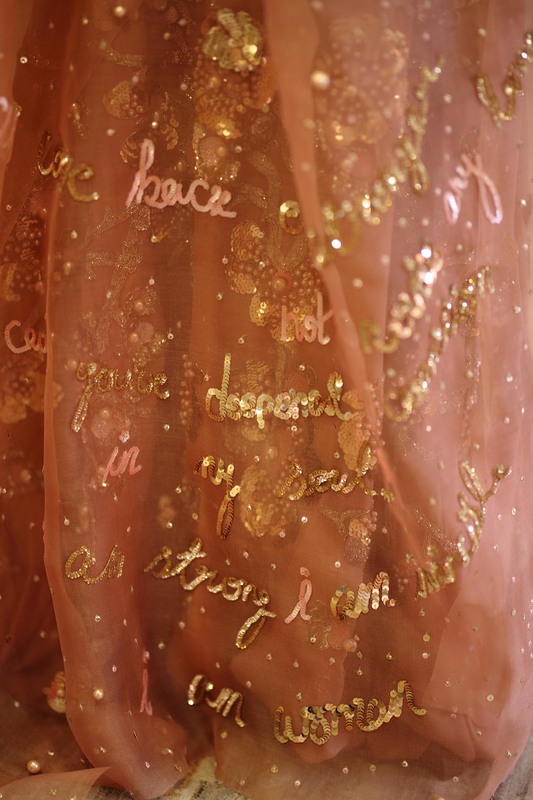 Nothing Studio S does is that obvious, and in this case the lines were literally lyrics from the song, scrawled onto the clothes by Seher and then overlaid with sequins. The final show put clothes on mannequin torsos fashioned by Aurum from metal—shiny, gorgeous armour, the proverbial iron fist inside a glove of embroidered net. The idea was to embrace one’s femininity unabashedly and without mistaking the feminine for the weak or malleable. Like the song – ostensibly a cheerful, happy little tune but with inspiring, powerful lyrics – the collection was both beautiful and strong. The conversation – we avoided calling it a panel, because it wasn’t meant to be an academic or philosophical presentation, but simply a discussion that we hoped would interest and trigger a larger one with our audience too. It began with art, as all of Studio S’s work begins from a particular artistic inspiration. “Hear me Roar” is inspired by 18th and 19th century Japanese old masters such as Hokusai and Kawarazaki, so it seemed fitting to talk to other artists. Khan, Syed and Rana are contemporary Pakistani artists who have all in their own distinct ways been exploring history, both personal and political, in a manner that also engages with their femaleness. Syed and Khan both make use of the everyday domestic in their work, a space traditionally associated with the female and in Pakistan at least, still very much a woman’s concern. Mithai, cake, quilts, teapots, embroidered panels, chairs – the private space of the domestic becomes part of a public conversation. As Syed pointed out during our discussion, it’s time to change the dynamics of female historical power. History is famously male, written and recorded from a male perspective and yet there are scores of women we know of, warriors, leaders, assassins, scholars, doctors, writers, artists who have shaped history as we know it. Where are they? Where are their voices, marginalized as they are? Extending from that reshaping of power and repositioning of voice is where the Studio S panel found itself, musing about creative energy. Women’s work is often considered less-than. Women’s art has so often been dismissed for being too interior, too feminine. Female preoccupations – the dinner party Clarissa Dalloway is throwing, the children in Fleur Adcock’s poetry, the lush flowers of Georgia O’Keefe, the draped women of Amrita Sher-Gil – have frequently been put aside as simply not important enough as the work of their male contemporaries. Fashion too, is slotted into that Female Domain and yet male designers continue to be extremely successful and more numerous than women. Clothes do not exist in a vacuum. 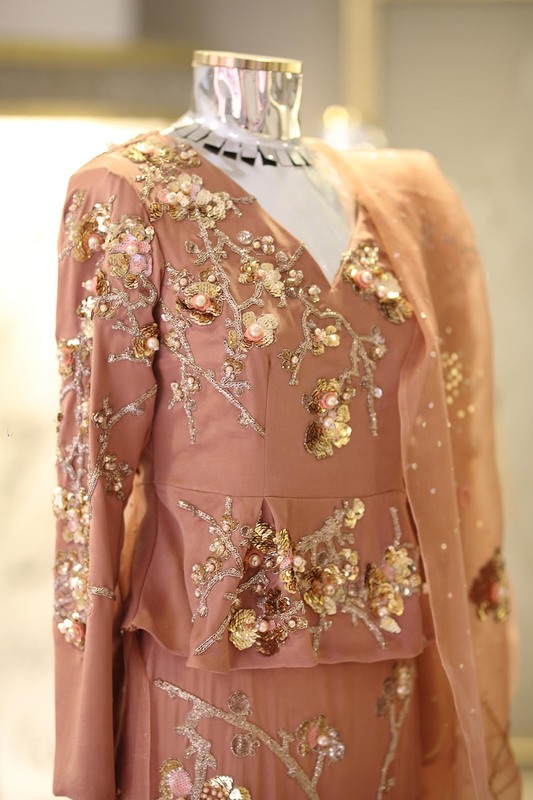 A lot of couture is showmanship, the theatre of the gorgeous – especially South Asian bridals with their lavishly draped, embellished outfits that could go straight onto a set for a film about royalty. In real life, nobody wears their clothes like runway models. Orders are made to fit all kinds of bodies, personal styles and preferences and become different creatures to the original ones envisioned by the designer. The best part about “Hear me Roar” was that Studio S put the collection on real women. There were artists, bloggers and friends of different age, size and look, and everyone had made their piece their own. It was a welcome, lovely break from the size zero monotony of a model; the unattainability of gorgeous clothes meant to look gorgeous only on very thin women. Because aren’t clothes part of how one sees oneself, a pivotal part of how one chooses a “face to meet the faces that you meet”? 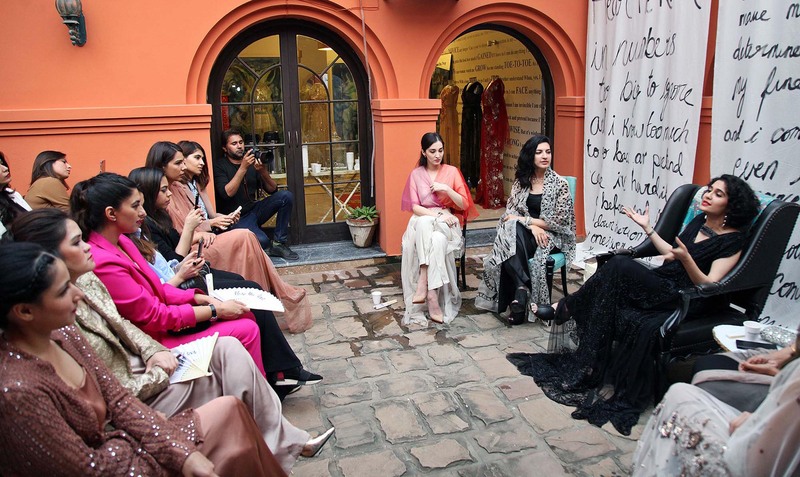 How and what we choose to wear has ever-changing implications for the wearer; sometimes armour, sometimes decoration; sometimes invisibility – like wearing men’s clothes whilst finding welders in Anarkali, as Saba Khan talked about – sometimes celebration and sometimes just pure fun. What is most important is to talk, and for women to talk to each other. Female concerns are just as important as anyone else’s, and perpetually brushing them under the patriarchal carpet just won’t do any longer. As some of the older ladies pointed out during a spirited interaction with the audience, each generation of women has pushed back against the rules and the restrictions to create a little space, and that space is being expanded as more and more women rally to the cause. What is crucial is to have these conversations, ones that ask questions with curiosity and answer with honesty. Studio S created a space for just that, and everyone present there that evening was certainly purring. Mina Malik-Hussain is a writer and teacher based in Lahore. Her poetry and prose have appeared in national and international literary magazines and journals, including Vallum, The South Asian Review and Pakistani Literature. Malik-Hussain writes a popular weekly column for The Nation, teaches literature in English and runs The Sirajuddin Foundation, a literary non-profit. Copyright (c) DESTINATIONS - The Premier Travel & Lifestyle Magazine of Pakistan. A venture of DAEWOO Express Pakistan.